Pat Ferguson, CZT, and award winning quilter, came by this week to pick up some Zentangle supplies and show us some Zentangle delights. We thought you'd appreciate seeing them, too. 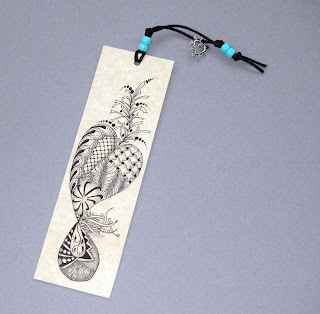 When Pat makes mats for framed pictures, she saves the inside cutouts and makes bookmarks. After tangling them, she sprays them with a protective coating. 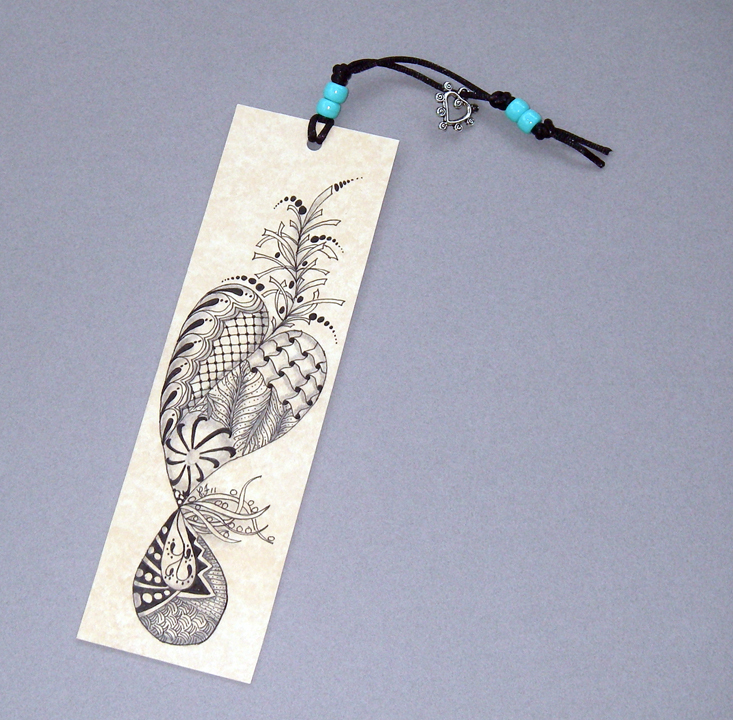 She had decorated punch-cut wood ornaments with Zentangle tangles. But before that, she traced one to create part of her string. She also brought a copy of The Quilter Magazine. That "ZEN Quilts" teaser on the cover of their Feb/Mar 2011 issue takes you to a lavishly illustrated four-page spread inside. Congratulations, Pat! Pat [email] has a couple Zentangle inspired quilting classes coming up in Rhode Island. One's this Saturday and one is February 26. Drop her an email for details. Thank you Pat, for sharing this we everyone! 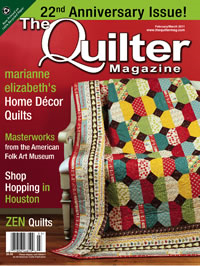 Congrats on your article in The Quilter Magazine - how exciting! Your work is beautiful - I too have been working in wood and I like the use of the wood as a silhouette. In my current class we will be tangling on wooden hearts. I will be sure to direct my students to this blog entry and your work. Congrats, Pat! 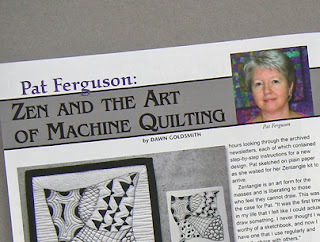 At my last Zentangle Intro class, a student came to the class just from seeing this article in Quilter magazine. She was so inspired that she immediately hunted down a class in Zentangle. I'm looking forward to seeing what she does with it as a quilter. Thanks for all the inspiration, Pat! Congratulations,Pat! I'll have to go out and find a copy. 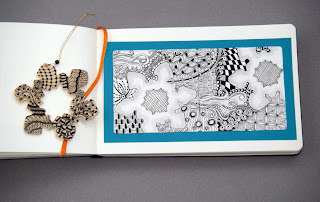 So inspiring to see what is happening with Zentangles! Wonderful work! Thanks for sharing this great news! 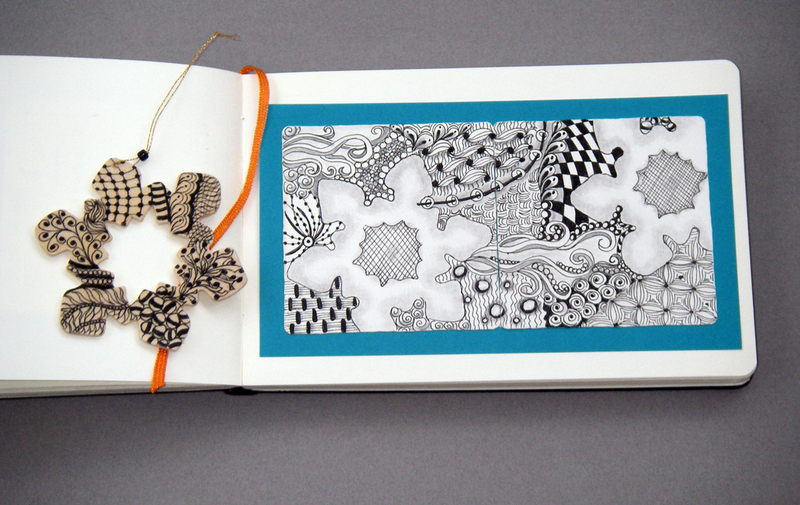 Isn't it wonderful how we all manage to get Zentangle worked into our natural art expressions? Too cool!